We were tired of hanging out with cheerleaders. That’s how spoiled we were. We were in San Antonio. 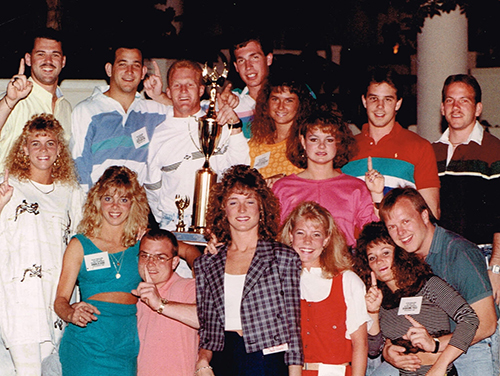 We had just won the Universal Cheerleaders Association’s National Championship. We, in the sense that I was the App State mascot, Yosef, so I got to travel with the team. I like to think my being there as moral support was key in the triumph. For almost a week we had been in this incredible place, surrounded by the beautiful people. And we won our division. There was a trophy and everything. Afterwards there was a huge party with hundreds of cheerleaders and college dance team girls. But, we’d been hanging out with them for days. We wanted to see Texas. We wanted to move to greener grass. Again, we were spoiled.